Recent maths work in Class 10MA at Turney School has involved the students learning about different shapes and patterns. 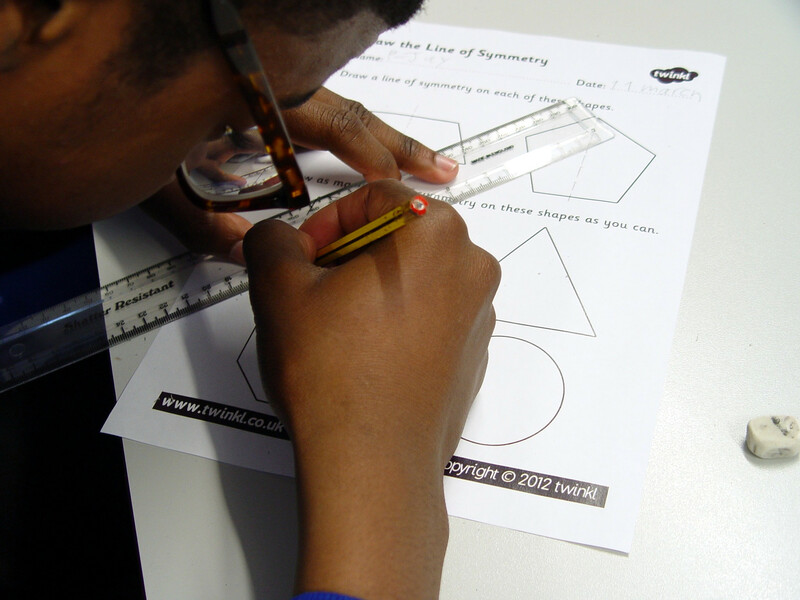 This work has progressed for some of the higher ability pupils to learn how to identify lines of symmetry in a shape. Miss E and her maths team have also been helping Class 10MA to be able to accurately draw the lines of symmetry. The students have learnt that we draw these by using a dotted line, rather than the usual unbroken line. Each class member has been progressing through a series of worksheets. The first task is to identify the shapes. Class 10MA have been working with a variety of shapes, including squares, trapeziums and octagons. We have seen that a symmetrical line needs to pass through the centre of each shape. Some shapes also have more than one line of symmetry. 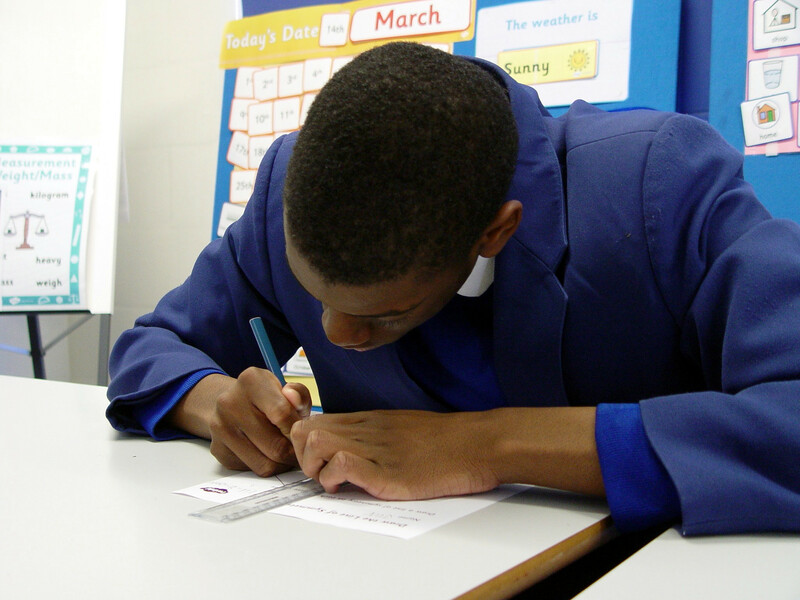 Other pupils in Class 10MA have been continuing with their maths work learning all about repeating patterns. Different coloured 3D shapes have been used as one of the resources here. A pattern of shapes was started off. The students were asked to continue the pattern. 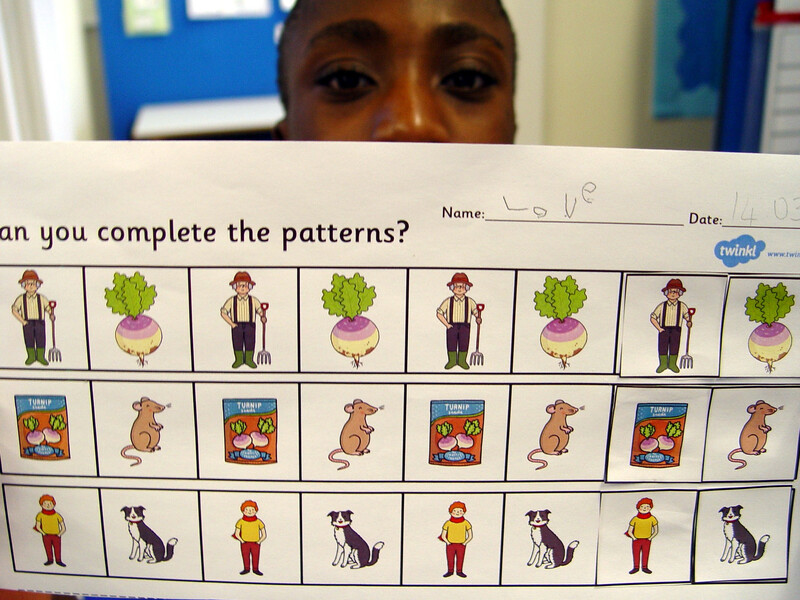 Learning sheets have also been completed asking the pupils to identify a pattern showing different pictures.